Offering a potted history of the phenomenon from the execution of Socrates in 399BC to the latest in internet filtering, Petley provides an impassioned manifesto for freedom of speech. Also explaining how media monopolies and moguls censor by limiting what news/entertainment they impart, this is an invaluable resource for anyone interested in global media in the information age. This is the first book that provides a popular guide to the fascinating story of Laos. Drawing on his extensive research, the acclaimed historian of Laos, Professor Emeritus Martin Stuart-Fox, has written an authoritative text that weaves together centuries of history and legend. His account tells of cities built, destroyed and resurrected. Naga Cities of the Mekong focuses on the three Lao capitals situated along the mighty Mekong River - Luang Phrabang in the north, Viang Chan (Vientiane) in the centre and Champasak in the south. Stuart-Fox traces the fortunes of each capital from the legend-rich founding, their years under French colonialism, through the people's struggle for independence, war and revolution, on to the creation of contemporary Lao state. He also includes vivid descriptions of magnificent temples and tells of the unwavering Lao belief in the ever-vigilant nagas, mythical protectors of the Lao. The arresting pictures that accompany this lively study are by former Time-Life photographer, Steve Northup. No one has ever denied that a mass killing of Chinese plantation workers resulted when a patrol of Scots Guards raided a Malayan rubber estate near the township of Batang Kali in early December, 1948. This fact could never be fully suppressed, not even in the slaughter's immediate aftermath. But then followed an elaborate programme of concealment instigated by senior officers within Britain's military High Command in Kuala Lumpur. 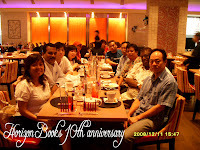 They worked in close collaboration with top colonial police and civil admimistrators. 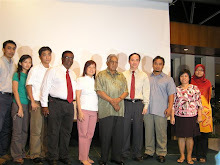 The overall effect of the cover-up's imposition and the immediate political support it achieved in Westminster ensured that the full Batang Kali story remained undisclosed. The most comprehensive and up-to-date introduction to the people, history, culture and future of India. Designed to be read by travellers, students and general readers alike. A well-researched, fully documented account of Australia's judicial lynching of her most prized Japanese war crimes suspect. Aided and abetted by the nation's leading politicians, a clique of top military men concocted evidence, installed their own kangaroo court and endeavoured to salve a country's war wounds with a formally sanctioned murder. Two appendices of telling official documents the military of the day withheld from public release accompany this racy and gripping chronicle of appalling vindictiveness that casts a cloud over the much-vaunted Australian concept of 'fair dinkum'. This is a book with a story as good as the story in the book. Many English children were among the civilian prisoners held at Changi jail, on the island's northeastern strip, when Singapore fell to the Japanese in February 1942. 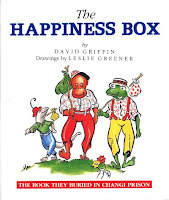 "The Happiness Box" was created for those children by a group of Australian prisoners of war for the Christmas of 1942. This is the true story of the most bizarre and brutal Japanese war criminal of all. He orders the massacre of thousands of Chinese civilians in Singapore and Malaya. He is responsible for the slaughter of thousands more US and Filipino servicemen in the Philippines. But, disguised as a monk, he makes his getaway in the chaotic days following Japan's unconditional surrender from the Japanese military headquarters in Bangkok, Thailand. He is chased by the British but is, incredibly, protected by the Americans and re-surfaces to become one of his country's most prominent post-war citizens. He becomes Japan's most popularly elected parliamentarian! The author traces the amazing story from the bloodied beaches of Singapore to its baffling cloak-and-dagger conclusion. This book stands as the first in-depth study of Malaya’s legendary war-time heroine, Sybil Kathigasu, and the impact her dauntless decisions and actions had on the members of her immediate family.